I recently came across the vlog of Fr. Yanes Augustin Valer, the Spanish deaf priest born in 1929 in Cuba and ordained in 1967. That makes him 85 years old and 46 years a priest! 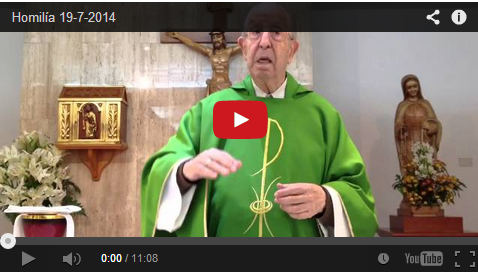 Here is his homily from the 16th Sunday in Ordinary time. Fr. Valer posts a homily every Sunday, just like Fr. Mike Depcik does in the U.S. Fr. Valer’s homily seems to be in singed Spanish, as he is voicing while he signs. I wonder how much of his homily ASL users could understand? I think the signs are very similar to ASL, and the movements and facial expressions basically the same as ours. I so wish I could meet him.